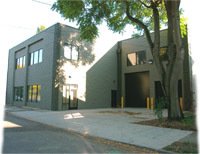 Portland Compressor was founded in 1984 and is a true brick and mortar company specializing in air compressors and airless painting equipment, located in Portland Oregon. We provide sales, parts, accessories and service for these product lines as well as others. As you may guess by our name, we started with air compressors. The company started by way of three people who were seasoned with broad experience in the compressor industry and looking to do things better. With minimal capital, a common dream and a lot of elbow grease along with a small initial following, the three set out to do it their way. Word quickly spread about Portland Compressor and it quickly grew to 6. Along with our growth in Portland, we also began selling our products to cities throughout Oregon. Shortly after opening we became a Graco Authorized Dealer then soon became a Graco Authorized Distributor, as well as an Authorized Warranty & Service Center. We are in the top 3 of the Exclusive Graco Airless Dealers and one of the largest independent dealers in the United States. We carry the full Graco Airless Contractor line, HVLP, LineLazer and TexSpray lines as well as pressure washers and many other Graco products. Along the way we have become a warranty service center for most major brands in our three primary fields; airless sprayers, air compressors and pressure washers. These include Graco, SprayTech, Titan, Wagner, Ingersoll-Rand, Rol-Air, DeWALT, Campbell Hausfeld, Powerex, Chicago Pneumatic, BE, CAT Pumps, Comet Pumps, Annovi Reverberi as well as many others. We have our own warehouses, repair facility & service center staffed by mechanics with many many years of experience who participate ongoing factory training to stay on top of the latest technology and techniques. While we like to, and have been, doing business "the old fashioned way" but it was clear that the new fangled Internet wasn't a flash in the pan and not going away so we jumped on around 2000. After awhile we decided that we needed more than a presence, we needed to get serious, so in 2006 we launched a new website and online store. Even with nearly two dozen of us making things happen here at Portland Compressor, we still provide the same home-town service that got us off the ground with the original two. Shop our Online Store. We also have an eBay Store!